It was late that night. He opened the Tube app to check until what time the trains were running. There was still time. Few more trains before they would shut the doors of the stations until the early morning. 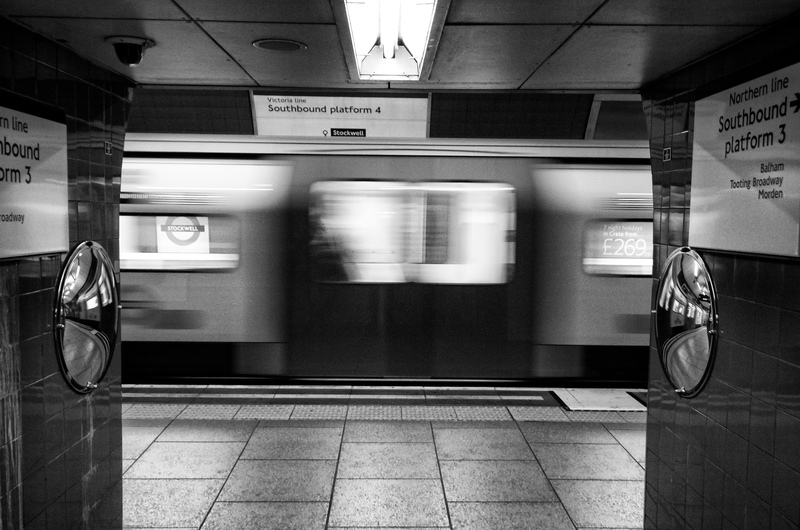 He had to change train in Baker Street and walked slowly to the platform. A train had just stopped but he did not rush. He had his headphones on and had stumbled upon an interview on BBC Ulster. The host was interviewing Ciara O’Neill. They were speaking about her new album. They were talking and his mind rushed back to memories of living in Scotland, to a trip he took in Ireland (though not Northern Ireland) many many years before. He remembered the winters up in the north. The strong winds. The waves in the ocean. The rain. The hills. The daily runs along the river. The warm pubs. All that came back in a matter of seconds and the distance to the train changed and there was no need to rush anymore. He listened to their nice Irish accent and then she sang one of the new songs. 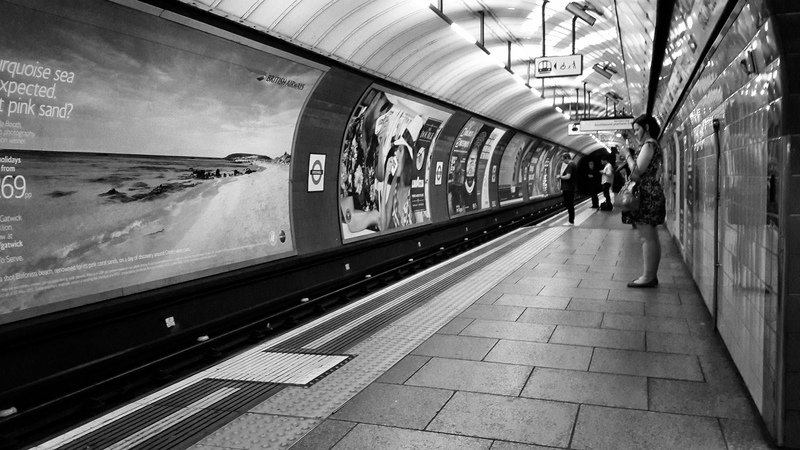 He thoughts about her courage to pursue her dream and become a songwriter up there in Northern Ireland and, for a moment, in Baker Street’s tube station as well. 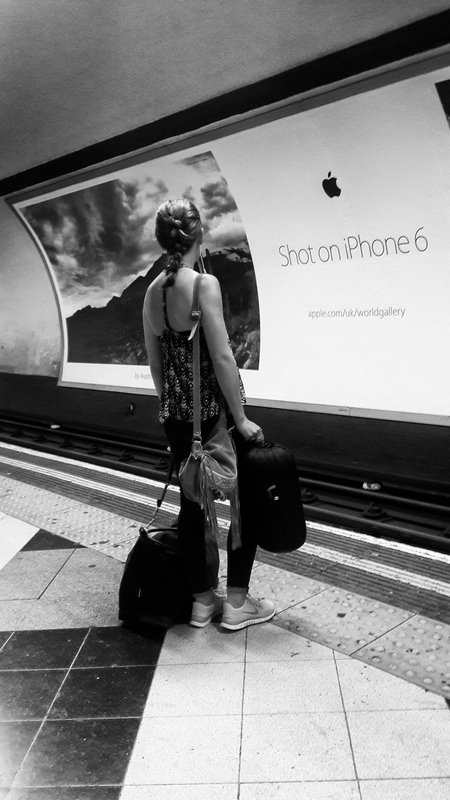 Large photos taken with iPhone6 are decorating the walls of the London tube. I liked this one with 3 kids on a frozen lake. It reminded me of Finland. I landed at Heathrow early morning and as usual took the Heathrow Express to Paddington. 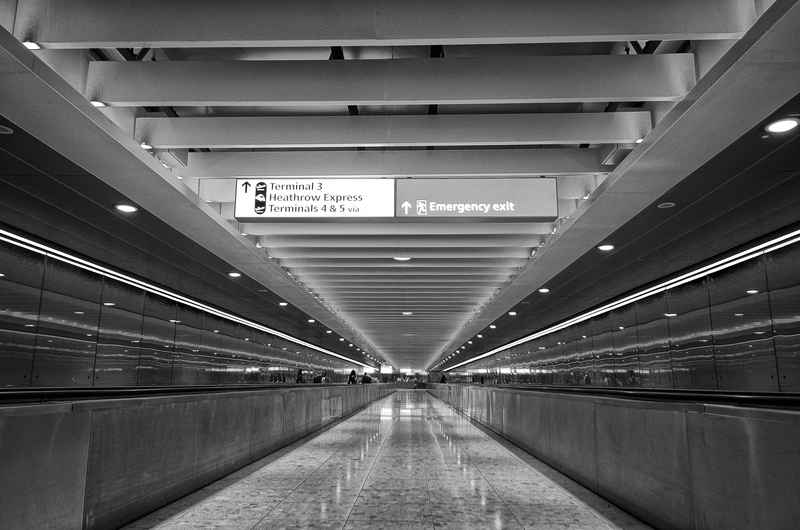 I always have liked the perspective, lines and curves of the Heathrow station. 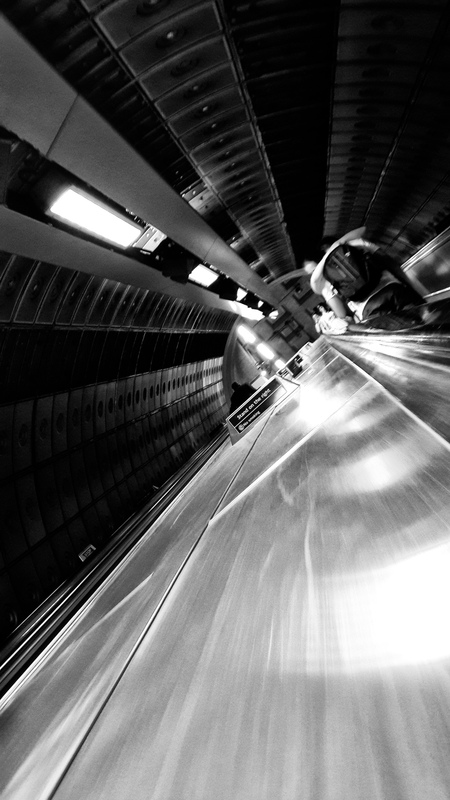 I was on the escalator on teh way down to the Northern Line. A young couple was hugging just above me. Nice. Waiting for the next train southbound. On the way to a friend house for the weekend. Maybe thinking about the evening and whom she is going to meet. Stockwell tube station. Interchange to get to Brixton. Trains pass through southbound as well as northbound. 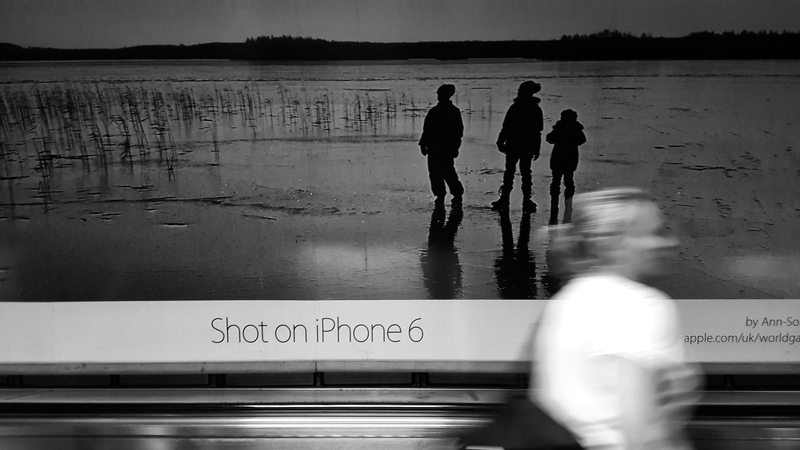 If you avoid the rush hour you can pause in a corridor, wait for a train to pass by, and to capture its blurry motion. It is nice to walk from one station to the other. 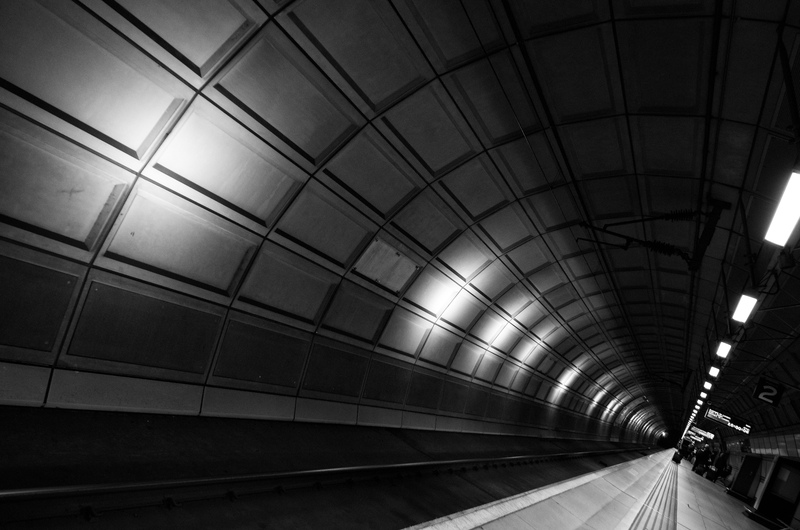 Look at the tunnels that connects different underground lines. 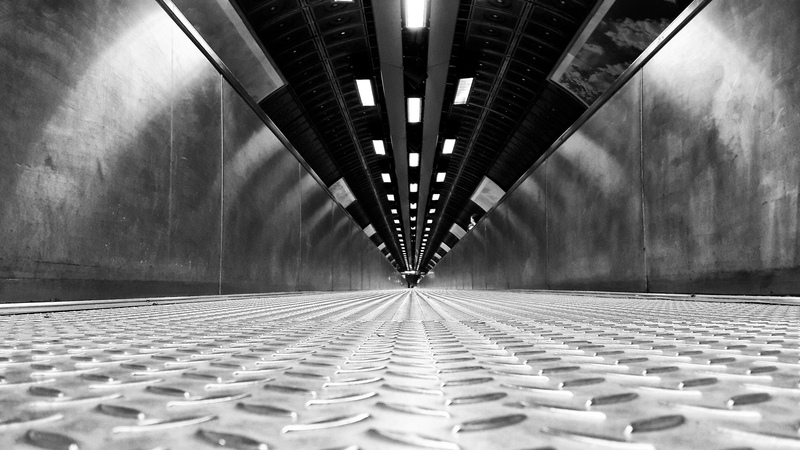 Low down to the floor level and seek a different point of view.